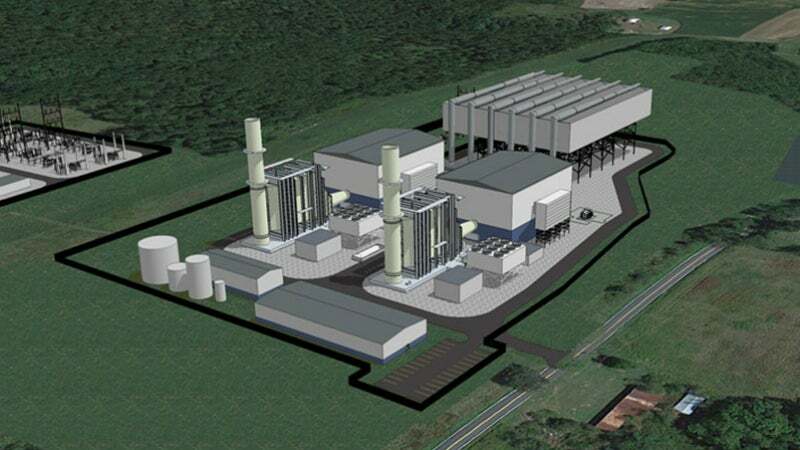 An artist’s impression of the Caithness Moxie Freedom combined-cycle natural gas-fired power plant. Image: courtesy of Moxie Energy. GE will manufacture two 7HA.02 combustion turbines for the Moxie Freedom project at its facility in Greenville, South Carolina. Image: courtesy of General Electric. Approximately 62,000 gallon a day of water will be withdrawn from the Susquehanna River to meet the project’s water requirements. Image: courtesy of Nicholas. The Caithness Moxie Freedom Project involves the construction of a 1,029MW combined-cycle natural gas-fired power plant in Salem Township, Luzerne County, Pennsylvania, US. The project broke ground in December 2015 and is scheduled to start commercial operation in 2018. The plant is being developed by Moxie Freedom Holdings, a subsidiary of Moxie Energy and Caithness Energy, to benefit from the abundant and cheap Marcellus Shale natural gas supply in Pennsylvania. The output from the project will be sufficient to serve approximately one million US households. The project is expected to generate approximately 600 jobs during the peak construction period. The power plant will include two identical power trains each equipped with a GE 7HA.02 combustion turbine, a generator, a heat recovery steam generator (HRSG), a steam turbine, control system and associated power plant equipment. It will operate in a single-shaft combined cycle configuration providing the capability to run one unit while the other is offline. The combustion turbine will first burn natural gas to drive the electricity generator, while the HRSG, integrating duct burners, will capture the waste heat through the exhaust stack to feed a steam turbine, which will further drive the same electricity generator to generate additional electricity. The HRSG will integrate a selective catalytic reduction system to control nitrogen oxide (NOx) emissions and an oxidation catalyst to reduce emissions of carbon dioxide (CO2) and volatile organic compounds (VOCs). The project will use minimal water as air-cooled condensers will be used for cooling purposes. New water wells will be constructed, however, to withdraw 62,000 gallons per day (GPD) of water from the Susquehanna River and 92,000GPD from the groundwater to meet other needs at the site. The project site is strategically located at the intersection of an existing 500kV high-voltage transmission line system and the existing Transcontinental gas pipeline (Transco). The transmission line will be upgraded and a new switchyard will be constructed to convey the output to the regional grid operated by PJM. South Jersey Resources Group (SJRG), a subsidiary of South Jersey Energy Solutions (SJES), has been awarded a 10-year contract to be the sole provider of natural gas supplies and associated services for the project. It has decided to purchase approximately 165,000 dekatherms of natural gas a day from Cabot Oil and Gas Corporation to feed the power plant. "The project site is strategically located at the intersection of an existing 500kV high-voltage transmission line system and the existing Transcontinental gas pipeline (Transco)." The overall investment in the Pennsylvanian power project is estimated to reach $800m. A $592m debt facility is being provided by GE Energy Financial Services with a syndicate of eight banks including BNP Paribas, Citigroup and Mitsubishi UFJ Financial Group. Global Infrastructure Partners, John Hancock and First Reserve are the equity investors in the project. The engineering, procurement and construction (EPC) contractor for the project is Gemma Power Systems, a wholly-owned subsidiary of Argan. Howden manufactures fans, compressors and air preheaters (rotary regenerative heat exchangers) for the power industry. Howden produces rotary air preheaters in bisector, trisector, quad-sector and concentric configurations. Howden screw and reciprocating compressors are widely used in combined cycle gas turbine (CCGT) and combined heat and power (CHP) plants, for gas turbine fuel gas boosting. Distributed Power from GE has more than a century of combined experience in gas turbines and gas engine technology with our aeroderivative gas turbine, Jenbacher gas engine, and Waukesha gas engine product lines. Through almost a century of dedication to catalysis and with a strong commitment to fundamental research, Haldor Topsøe has developed efficient and reliable solutions to emission problems.